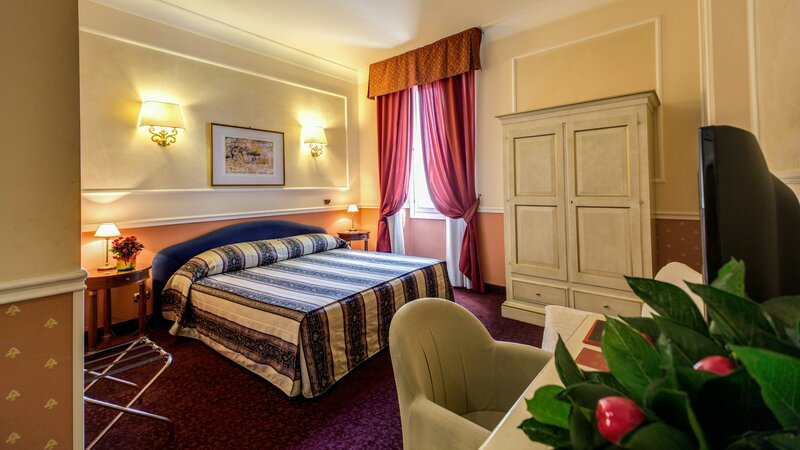 The 39 Bedrooms at the Antico Palazzo Rospigliosi Hotel are spacious, comfortable and well decorated, as well as very bright and entirely soundproofed. 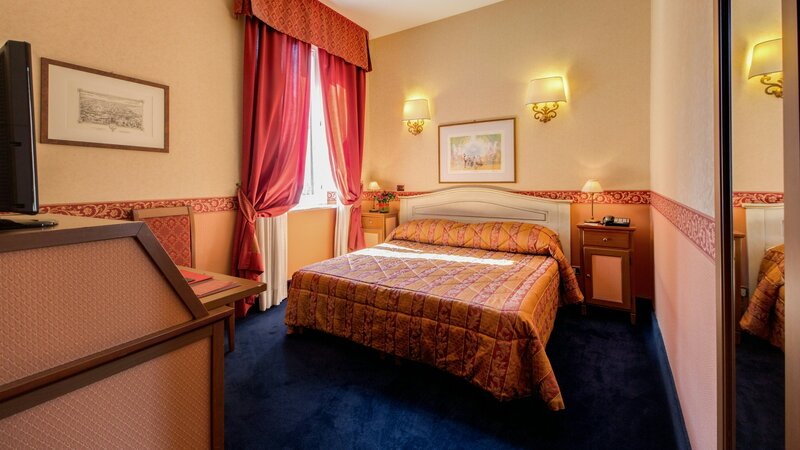 All rooms are equipped with all facilities such as en-suite bathrooms, air-conditioning, satellite colour television, telephone with direct outside line, mini-bar and safe deposit box. 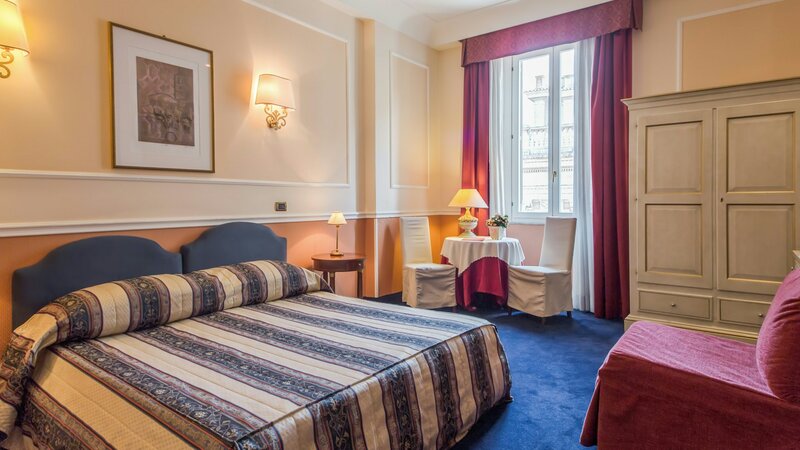 From most rooms guests may enjoy a suggestive view over the Internal Courtyard and from the other rooms over the peaceful garden, located to the rear or indeed a view of the Church St. Mary Major is also possible.